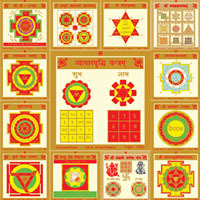 Introduction: If there is loss in business, thieves, fire etc are posing problems then this yantra gives profits and progress soon Different desires can be fulfilled by burning specific material for a particular desire before this yantra. 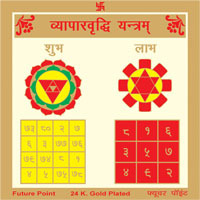 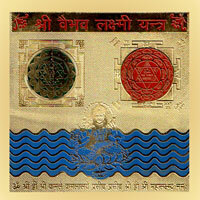 Method of Use: Vyapar Vriddhi Yantra is kept in the central point of business premise after proper worship. 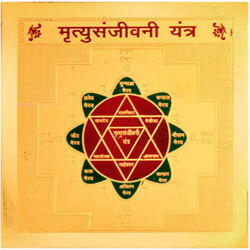 It must be worshipped daily. 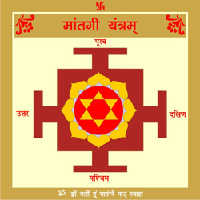 If there are persistent losses in business, keep this yantra before you and recite riddhi-siddhi mantra 10000 times for progress in business, Profits will follow soon.